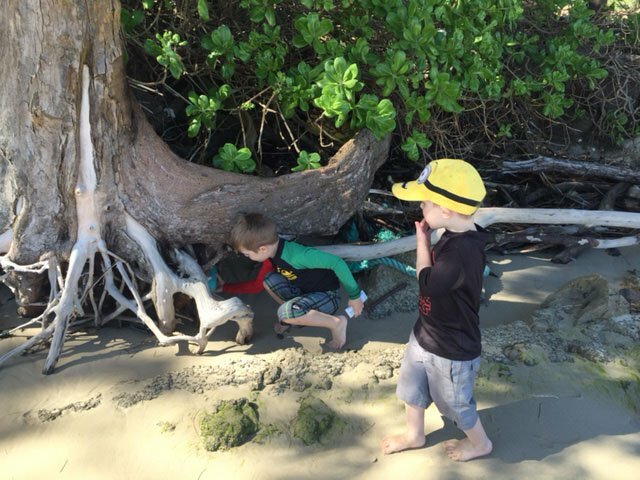 While the boys are only four and two, they are always eager helpers! 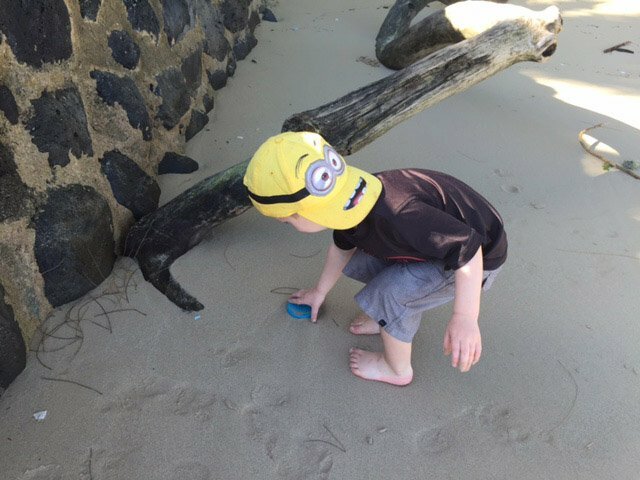 We have been in Hawaii for two weeks now, and almost everyday we walk 100 yards down the beach to a big sand pile to play. 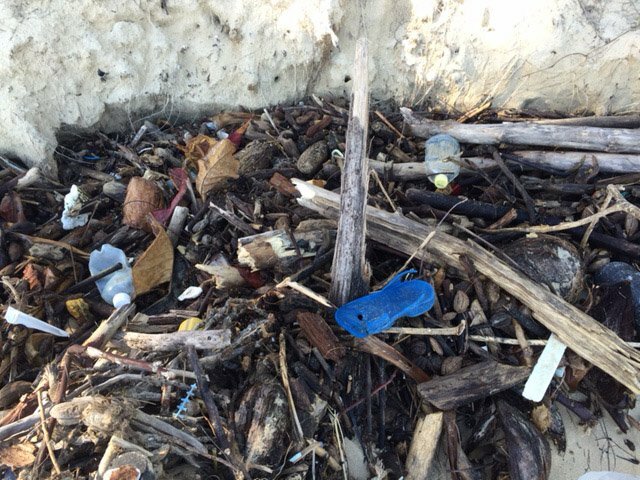 We had a large storm over the weekend and depending on the tide, there are hundreds of broken up pieces of plastic littering the beach. After this particular storm, there was wood debris and an assortment of larger plastic items laying on the beach. While hunting for sea glass used to be the norm, in today’s world, that has been replaced with plastic pop bottles and shards of hard plastic on the world”™s beautiful beaches, the items”™ original intent, long broken up by the forces of the ocean. In Vancouver, we sort our food waste into an organics bin; cans, plastic, glass, paper, cardboard and Styrofoam into the recycling bin; and actual garbage into the trash can (in our household this amounts to soiled diapers, dirty plastic wrap from food, broken toys, and other miscellaneous waste from around the house. If we were really diligent about sorting, the garbage would amount to about half a trash can a week at the most). While driving home from Waikiki yesterday, my uncle and I talked about the floating island of plastic, known as the Great Pacific Garbage Patch, which is made up of mostly small particles of plastic, chemical sludge and debris caught up in the current. This gave me an idea. An idea about worldschooling. 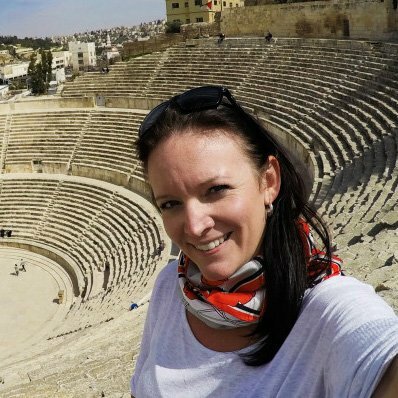 Most traveling families talk of “world schooling” instead of traditional education, and it is a very fluid topic. Because of the ages of my boys, it is not a topic that I am in any way an expert. To me, it encompasses children learning from hands on activities that the locals partake in, to math activities derived from counting money to make a purchase at a local market. While some traditional school concepts still exist, most children learn practical skills and get to experience things that many other children will lean about from textbooks. 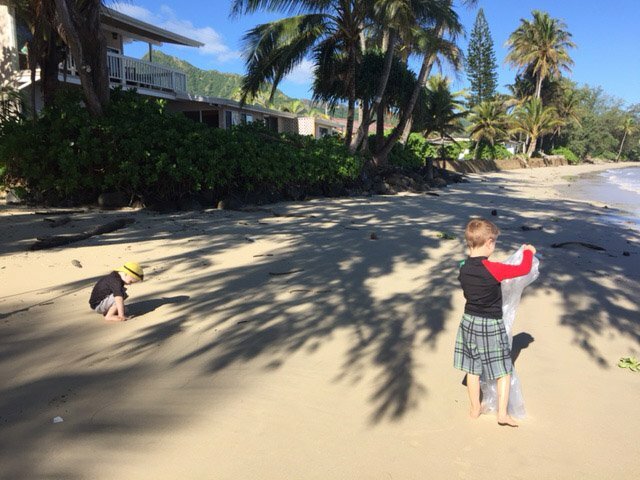 So after I had this idea about garbage and worldschooling, this morning we picked up our garbage bag and headed back to our little sand pile. 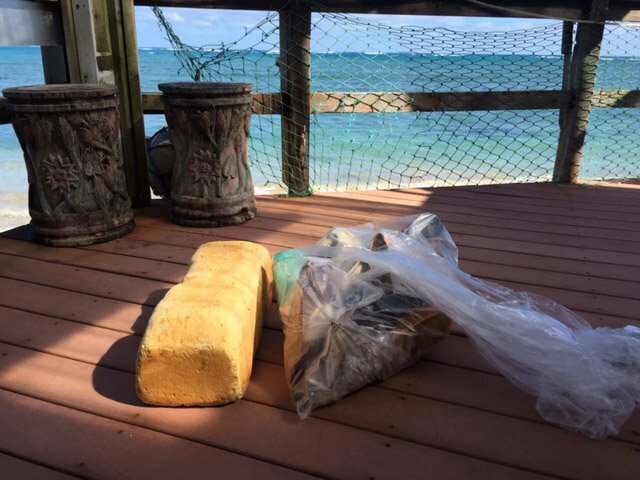 On the way, we picked up plastic jar lids, broken ropes, broken plastic shards, a discarded flip flop and styrofoam. 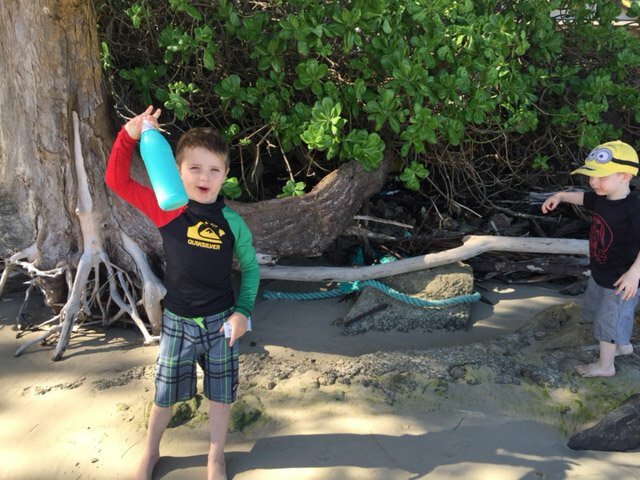 While no exciting finds were made, the boys felt like treasure hunters, running from one piece of plastic to the next. 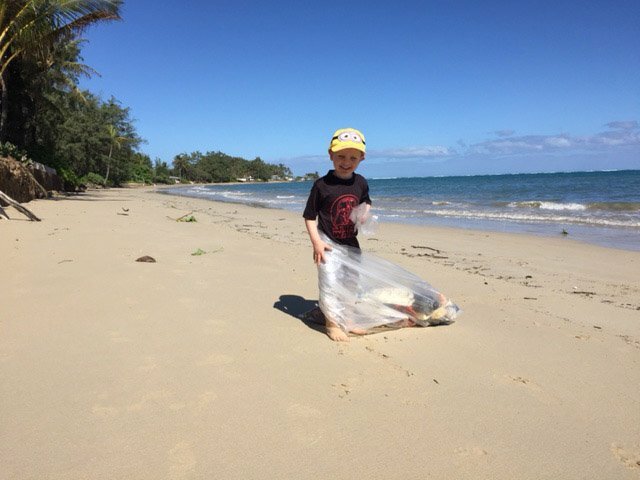 There are hundreds of plastic shards on this small stretch of beach, and we didn’t even come close to picking up half of them. Not even one percent. We collected some of the larger pieces, ones that would break into hundreds of smaller ones as the waves’ ferocity pulled them on and off the beach with the tides. 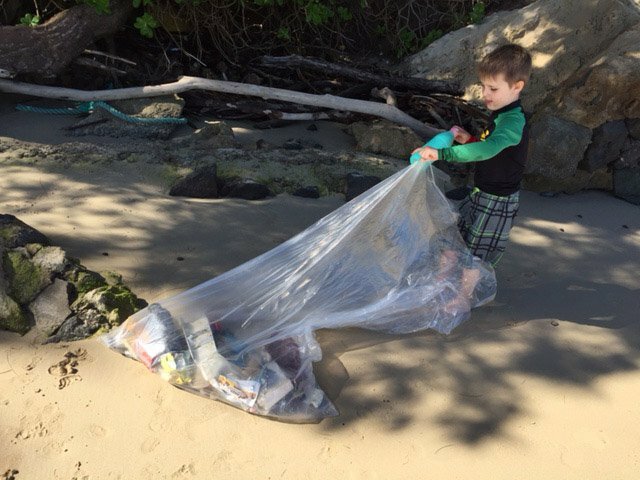 While they lost interest and preferred climbing in the sand after about 10 minutes, and only one small bag of trash made it off the beach and into the trash can, I hope that the lesson on what we can recycle and what happens when we do not put things in the trash will remain with them. What a great lesson to teach the kids! Thanks for keeping the beach clean and accessible for everyone. This is such a good idea and a great way for children, even little ones, to understand that they too can make a difference. What an absolutely brilliant thing to do with your kids. Such a great life lesson. Love this. I love the idea of including education into our travels. I find it an easy way to deepen concepts that might otherwise escape them. Cleaning up and taking care of our planet is always a great lesson. What a fantastic idea! These are truly important lessons to start teaching our children at a young age.